The Batad Rice Terraces are among the most spectacular of the Ifugao Rice Terraces. 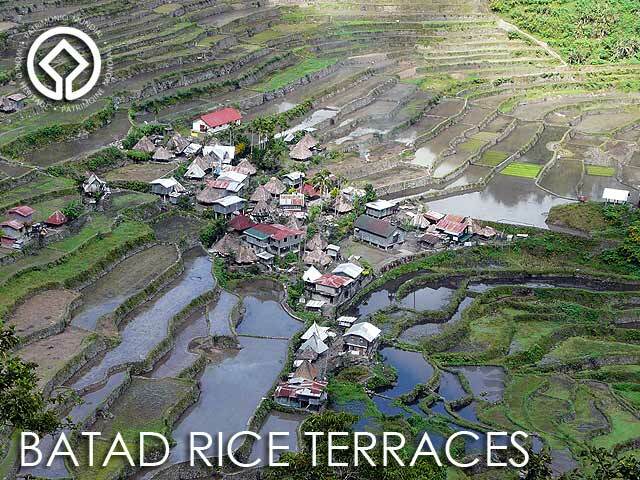 And aptly so since it's one of the five rice terrace clusters inscribed in the UNESCO World Heritage List under Rice Terraces of the Philippine Cordilleras. The other four are Bangaan, Hungduan, Mayoyao and Nagacadan. I've see the first three. And finally, I've been able to trek to Batad! Which leaves just Nagacadan on my list of rice terraces to visit. We took the late evening bus to Banaue and arrived early the next morning. As soon as we arrived, we purchased our bus tickets home since demand is really high and we wanted to make sure we had our tickets back. 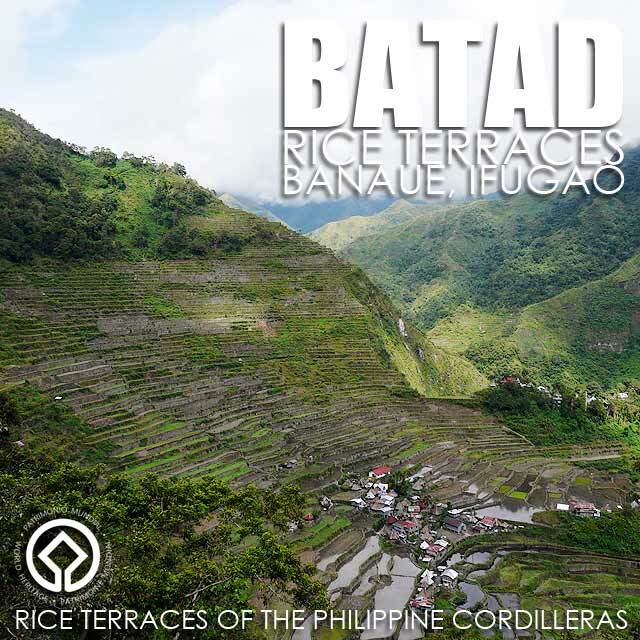 For more information on getting there, read How to get to and from Banaue, Ifugao. We then proceeded to the Banaue Hotel, the best accommodation in Banaue, where we stayed for the night. I spent the rest of the day catching up on sleep so that I'd have the energy to trek the next day. I actually spent the whole time at Banaue Hotel where I had all my meals, including the buffet dinner, since I was just too exhausted to go out. 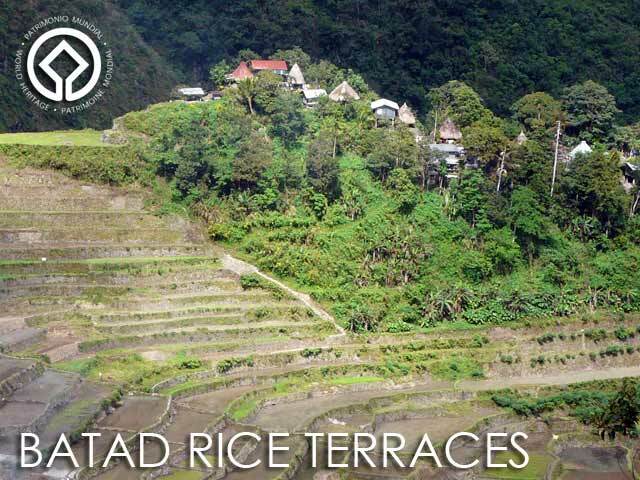 Banaue Hotel is one of two places where you can hire accredited jeeps and guides at fixed rates. Be careful dealing with unaccredited guides and transportation since there have been not so nice stories from guests that were cheated or abandoned. The jeep to the Batad Saddle costs Php2500 while the guide fee is Php900. The trip to the Batad Saddle was about an hour and thirty minutes. Unfortunately, it had been rainy the past few days. And since the road to the Batad Saddle is quite bad, when it rains, it can become impassable to vehicles. So we had to get off our jeep and walk a few more hundred meters up to the Batad Saddle. Good thing, it's mostly downhill to the Batad Rice Terraces from the Batad Saddle. It takes another hour of trekking to get to Batad. I noticed the road was being widened and it seemed like they were building a road all the way to Batad Village. One thing which is sad about Ifugao is that despite the fact it's one of the provinces most visited by foreign tourists, the roads are still bad. Maybe because foreigners don't vote? Well, it's part of the experience I guess. But the rice terraces deserve better roads. But it must come with stringent development safeguards to ensure that the rice terraces outside Banaue are protected and preserved even when infrastructure to get there is improved, so that they don't suffer the fate of Banaue. At the entrance to Batad Village is a tourist information booth where visitors log and pay a donation to the community. 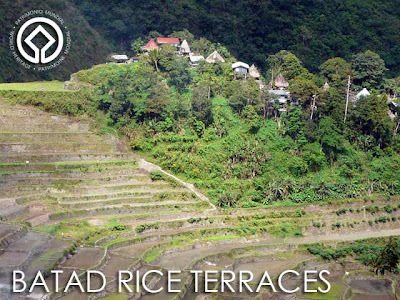 It also offers a really great view of the Batad Rice Terraces. While many visitors stay overnight, we had to rush back to Banaue to catch our bus back to Manila. So after having lunch at Simon's Place (I had the Batad version of pizza), we made our trek back up. And that's the hard part! But I did make it up in one piece and we finally got on board our jeep for the bumpy trip back to Banaue. We had about two hours to spare before our bus left, just enough time to freshen up and get a quick snack. Despite that quick stay, the trip to Batad was most worth it. Hi, Ivan! Please, please consider putting up a tour just like the Batanes Package. :) I'll sign up for me and my hubby! Hi Ivan! Is the P2500 rent fee for the vehicle back and forth? Yes, that's the round trip cost for a day trip. I'm not sure though if it's the same for overnight. Hi Ivan, planning to do the Batad trip. I tried to contact the number of Hillside Inn above but it's out of coverage. Would you know of they have another number? Thanks for your help. As I already mentioned in the post, text them. You can't call them because signal is not consistent. Hi Ivan, Rudd is Maya from Hillside Inn. 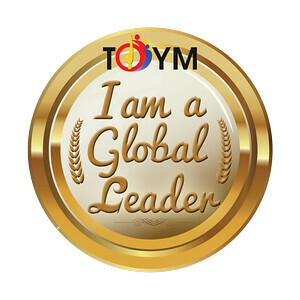 Thank you sooooo very much for writing good reviews about our village and our Inn. If you please, here are the updated numbers. +63 908 601 2888 / +63 927 761 6176 / +63 999 994 0899. HELO THIS IS RAMONS FORM RAMONS HOMESTAY. SEE MORE UPDATES ON OUR FB ACCOUNT RAMON'S NATIVE HOMESTAY AND RESTAURANT. Hi Ivan, this is Maya from Hillside Inn.